I don’t know about you but time seems to go more quickly each year. I feel like I accomplish more and that there is more to do. My “to do” list never goes away, there is always more on the list than there is time in a day. As I reflect on 2010 I can’t help but smile at all that is “right” and “good” in my little piece of the world. I don’t see that thinking about the opposite accomplishes much. It is the time of year when many people make resolutions that include health and exercise. If I had any power I would wish for world peace, to end hunger, that everyone could receive the education they need to develop to their fullest potential. As I was thinking about resolutions driving back to Maine from visiting my 92-year-old mother I wondered how many years she made resolutions and how long they lasted. She has always been a person who talks to people wherever she goes and makes them feel at ease. 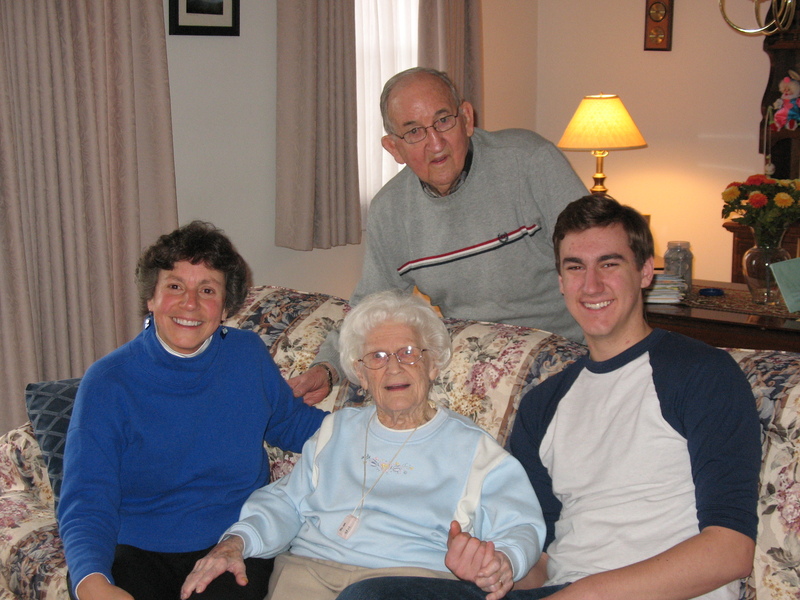 We visited our 94-year-old friend Nance and her husband two days before Christmas and she died two days after Christmas. She was a person who always had a smile on her face and no matter who she met she reached out to them and made a connection. I am sad that she is gone but knowing she touched so many in a meaningful way helps ease my selfish pain. So, as I reflect on 2010 and these amazing women who have touched my life in so many ways I have decided to focus on how I can make a difference each day. However small it is…. to stop and meet and greet people I come in contact with day to day. To offer a smile at the check out counter and thank the wait staff. To learn where someone graduated from high school and what brings joy to their lives. In short my goal is to use one of the components of the “fish philosophy” of “make someone’s day”. When I was in the classroom each day with students it was easier to “make someones day”. As you return to school and reflect on the past year I wonder how many of you will make a resolution? Will yours involve others or a focus on yourself or both? Whatever you decide I hope you’ve had a restful vacation and that your 2011 is filled with hope and kindness and fun! You are currently browsing the me arts ed blog archives for the day Saturday, January 1st, 2011.